Christmas time is that one time of year when you could be happy without giving yourself any reasons. J - Joy. U - unity. S - sympathy. T - truth. I - inspiration. C - care. E - empathy. We need justice! Joy is experiencing a feeling of happiness beyond the comparison of words. 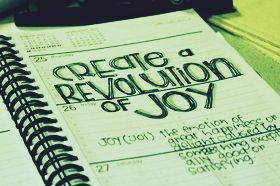 Joy is a state of extreme happiness and elation that you experience when something pleasant happens. It might be some sort of an achievement or the joy after meeting someone after a long time. There are several reasons when you can experience joy. Jolly people are those who find joy and happiness in almost everything in their vicinity. They are the ultimate in optimists.